Once again I would like to thank everyone and anyone who has been kind enough to vote / nominate The Chocolate Cellar. I was so happy to have been listed in Good Taste Magazine’s Power List: 100 women in Food and Drink. It was amazing to see my name listed with many good friends in the Food Industry and many women that I admire and respect. From the bottom of my heart … a very huge thank you for your wonderful and continued support. We were delighted to be in the news in the Guardian for Small Business Saturday. This Saturday is the 5th Small Business Saturday. We are so excited to be part of this amazing campaign which encourages all to support small businesses close to you. The day itself takes place on the first Saturday in December each year, but the campaign aims to have a lasting impact on small businesses. In 2017 Small Business Saturday is on Saturday, December 2nd. Once again, we are delighted to be part of the Winter Arts Market on Saturday. Over 200 small businesses all under one roof. What a fabulous opportunity to meet your local small business. If you haven’t been before come along and see how awesome this event is. We can guarantee you will be wowed by the beauty and atmosphere. If you can’t make this please look for other events that are running across the country and support some little indie near you. American English has no mould, and British English has no mold. In other words, the word referring to (1) the various funguses that grow on organic matter or (2) a frame for shaping something is spelled the same in both uses, and the spelling depends on the variety of English. 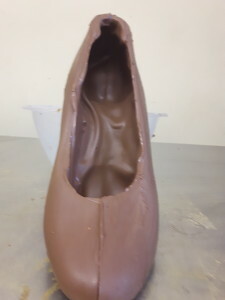 Secondly when making chocolate a mould is any vessel that you can pour chocolate in to and then replicate the shape. It is possible to use bowls as chocolate moulds and then stick two together to make a giant Christmas bauble. Once set the chocolate shrinks enabling it to be tapped out. 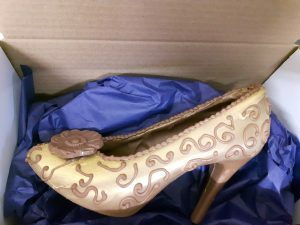 Embellishment is key to some products as this enhances them – whereas on some it really isn’t needed. There is a vast array of materials that can be used to make chocolate moulds – silicon, polycarbonate, PET, metal. Each chocolatier has their own preference of materials. We prefer to use Polycarbonate but do use others as and when needed as well. We are delighted to be working with REX Liverpool – our real hot chocolates, chocolate truffle cake and Rocky Road are available in their new cafe – Tea-Rex! We will also be running chocolate workshops from here. In case you haven’t been to REX – It’s a take on a modern department store. There are fabulous local artists and makers popping up. It really is a home for local independents and is a friendly place where you can just pop in and browse and not feel awkward. We are also planning Family workshops and Dabble workshops in August and details will be posted very soon.